The global phenomenon that is Mamma Mia! hardly screams ‘shoestring’ but that’s exactly how producer Judy Craymer describes the process of pulling together her passion project. But looking back, Craymer wouldn’t have had it any other way. “Producing is all about bringing things in on time and on budget” she says now, and that includes the creative team’s meals. Next month – April 6, to be precise – marks 20 years since Mamma Mia! first opened in the West End. But the show has been part of Craymer’s life for much longer than that. She first came up with the idea for a project based on the back catalogue of the Swedish pop group Abba after working with the band’s songwriters Benny Andersson and Bjorn Ulvaeus on the musical Chess in the 1980s. 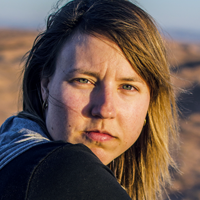 An assistant to Chess lyricist Tim Rice – her first role on the producing side of the business after beginning her career in stage management – Craymer’s interest in Abba’s songs grew as her relationship with Andersson and Ulvaeus developed. It was a musical that first sparked Craymer’s interest in theatre, when a childhood visit to Lionel Bart’s Oliver! in the West End led her to abandon plans to follow in her lawyer father’s footsteps and study stage management instead. She opted to attend Guildhall, a drama school with a dual role as a music college, which meant musical theatre was integral to her training from the start. “We were working with the musicians and were sent out to work on outside productions and opera as well, so I had a really good grounding,” she says, citing My Fair Lady, Oklahoma! and The Rocky Horror Show as particularly strong influences. After graduation, Craymer got a job at Leicester Haymarket Theatre, a musical theatre house where she first worked with another soon-to-be producing star: Cameron Mackintosh. After a stint at the Old Vic working on “lots of legit theatre”, it was her connection with Mackintosh that led to a role as part of the stage management team on Cats. She was “very flattered” to have been offered the job (and is still pleased with herself for having negotiated an extra £10 in her pay packet) but working backstage on Cats was a “mad time” and it was at this point that Craymer decided to make the move into production. “I wanted a desk job,” she says – the role with Rice came along at just the right moment. Chess may have given Craymer access to Andersson and Ulvaeus but it would be many years before Mamma Mia! began to take shape. Firstly, there was the small matter of the Swedes not showing any interest in the project. 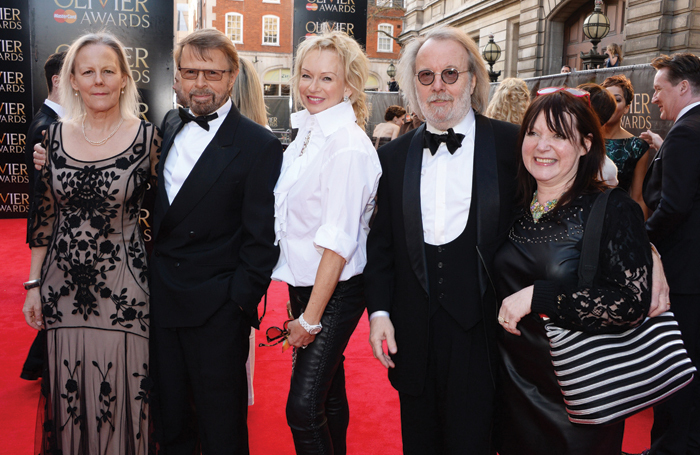 Abba had split up in 1982 and Andersson and Ulvaeus seemed keen to move in new directions rather than revisit the old repertoire, says Craymer. Not that they ever actually said ‘no’. “They were always nice and generous and patted me on the head and said: ‘Come back at some point’,” she remembers. She moved sideways, taking a job with the British director Michael Radford on the 1987 film White Mischief, which was followed by roles on various TV and movie projects. Mamma Mia! bubbled away in the background until eventually Craymer realised she needed to devote herself to it full-time if she wanted to take it further. “That’s when I sold my flat. It was a very small flat and it had a huge mortgage and I had a big overdraft but it enabled me to have some pocket money, so I could live and develop Mamma Mia!,” she says. “It seems like a big risk but it was what I wanted to do. I didn’t have any doubts.” Her only regret, she adds with a chuckle, is the sale not raising enough cash to enable her to invest in the show. Stable girl. I was horse mad and lucky enough to have a horse. I rode in every spare moment. Assistant stage manager on the pantomime Mother Goose at the Haymarket Theatre in Leicester. Never expect anything to go to plan. I’ve always been crazy for music. Music has always been important to me and still is. If you hadn’t been a producer, what would you have been? An international show jumper or equestrian athlete. After a couple of false starts with other writers, Craymer started working with Catherine Johnson – who had some success with new plays at the Bush and Bristol Old Vic Theatres, as well as writing for TV series including Casualty – and the project took flight, despite Johnson’s initial wariness. Andersson and Ulvaeus liked Johnson’s idea of a story set on a Greek island about a mother and daughter relationship and three absent fathers, and Craymer set about pulling together the rest of the creative team. The director remembers an “instant rapport and shared humour”, a feeling echoed by Craymer herself. The team coming together was the “start of a big adventure for all of us and of a big friendship”, says the producer, and working with Johnson and Lloyd over the years has been “a huge hoot”. But the relationship yielded much more than just a fun working environment for the team. Having women leading on the project – a rare enough occurrence these days but almost unheard of at the time – had a “big impact on what Mamma Mia! is today”, says Craymer, citing the many strong female roles in the show. She believes it is those characters that have made the show such an enduring success, with audience members of all ages seeing themselves on stage. Mamma Mia! opened at the Prince Edward Theatre on April 6, 1999. Craymer remembers people warning her against that particular date – the day after Easter Monday didn’t feel like an ideal press night – but they had no choice: Lloyd was needed on another project. And besides, it was the 25th anniversary of Abba winning the Eurovision Song Contest, surely a good omen for the show. Before Craymer could work that out, however, talk turned to doing Mamma Mia! in Toronto. What was meant to be a six-month run, followed by a US tour, turned into a five-year stay, with Craymer and the team mounting a separate production for the road. Then, in October 2001, Mamma Mia! 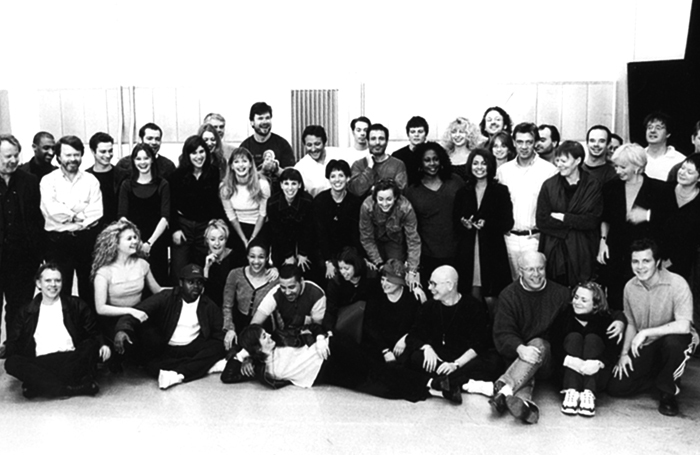 opened on Broadway – the start of a nearly 14-year run. “We were so busy all the time because all of these things were unexpected,” says Craymer. 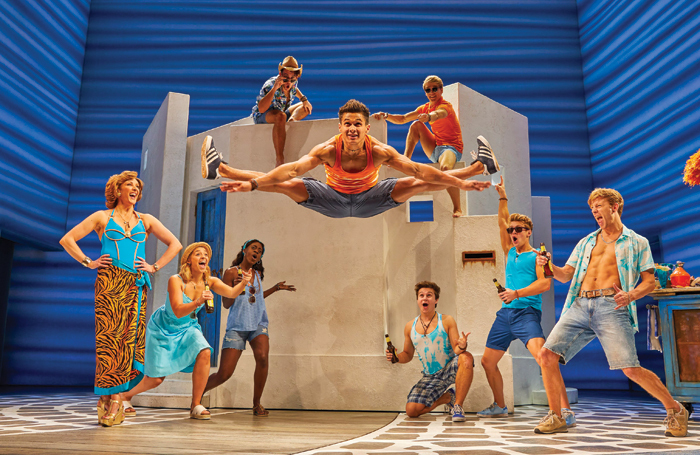 “It was quite a helter-skelter.” The show’s successes have continued over the years, with more than 50 productions of Mamma Mia! staged in more than 440 cities in 40 countries. Among those great ideas of course, was making the show into a film, a process for which Craymer drew on her time working in the film and TV industries. “I knew you needed the right people around,” she says. The fact she’d never actually produced a feature film when Universal Pictures approached her about turning Mamma Mia! into a movie didn’t overly worry Craymer. Selling the rights and letting someone else take a lead on the project never even crossed her mind. The people at Universal “raised an eyebrow” at the news that Craymer and Lloyd’s first choice for the role of Donna was Meryl Streep. But they knew something the Hollywood executives didn’t: the Oscar winner had enjoyed Mamma Mia! so much when she saw it on Broadway that she’d written to the cast and company after the show to say so. Streep said yes and it was full steam ahead after that. When it came to actually make the film, Craymer recognised that the “challenge was how to capture that magic that people have in the theatre”. So to make sure cinema audiences felt as involved in the action as theatregoers, Craymer decided to include a finale. It worked, she says. She attended screenings of Mamma Mia! the movie, released in 2008, and the sequel/prequel Mamma Mia! Here We Go Again 10 years later, of which people leapt to their feet to sing along at the end. 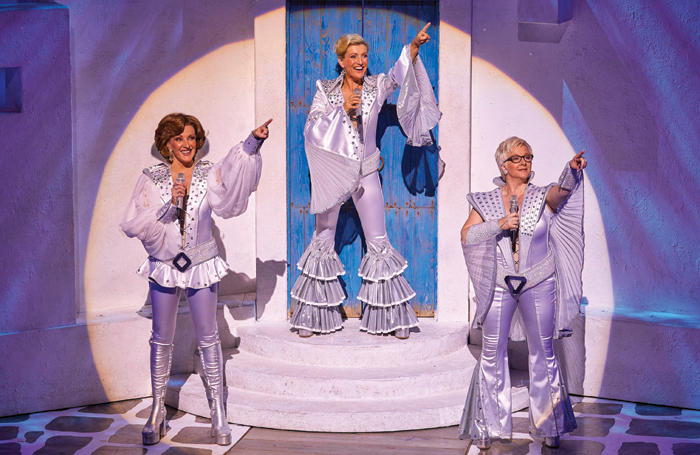 Between producing multiple stage productions of Mamma Mia! around the world and making two major Hollywood films, Craymer hasn’t had much time to pursue other projects. Viva Forever! – What went wrong? 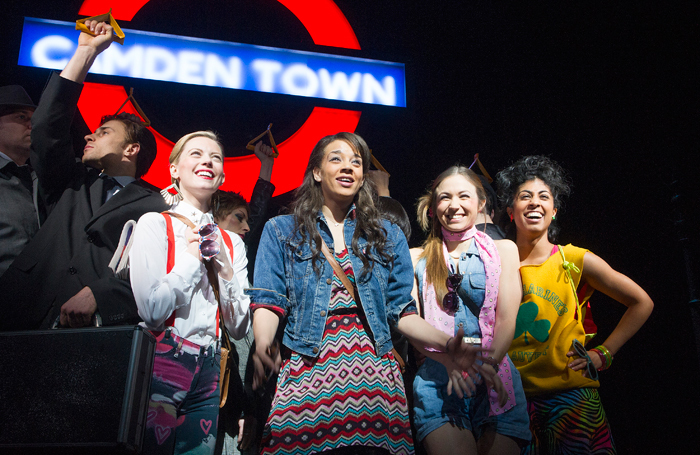 That project was Viva Forever!, the musical based on the songs of the Spice Girls that opened in the West End in December 2012 and closed just seven months later, after being panned by the critics. It seems strange that the show did so badly when, on paper, it ticked so many boxes: the back catalogue of one of the most successful girl bands ever; a star book writer in the form of Jennifer Saunders, and, of course Craymer, with all her Mamma Mia! experience, at the helm. Her experience on Viva Forever! certainly hasn’t put the producer off the idea of working with pop stars. Her next project, in fact, will hopefully involve one of the biggest names in showbusiness: Cher, whom Craymer got to know after working with her on Mamma Mia! Here We Go Again. “She’s a big inspiration,” says the producer. “She’s an activist and humanitarian. She’s busy, all the time.” What the pair will do together is still unclear, though a stage musical about Cher’s life is definitely off the cards given there’s already one currently running on Broadway.